14 Nimbus @ UC What is it? What can it do for me? 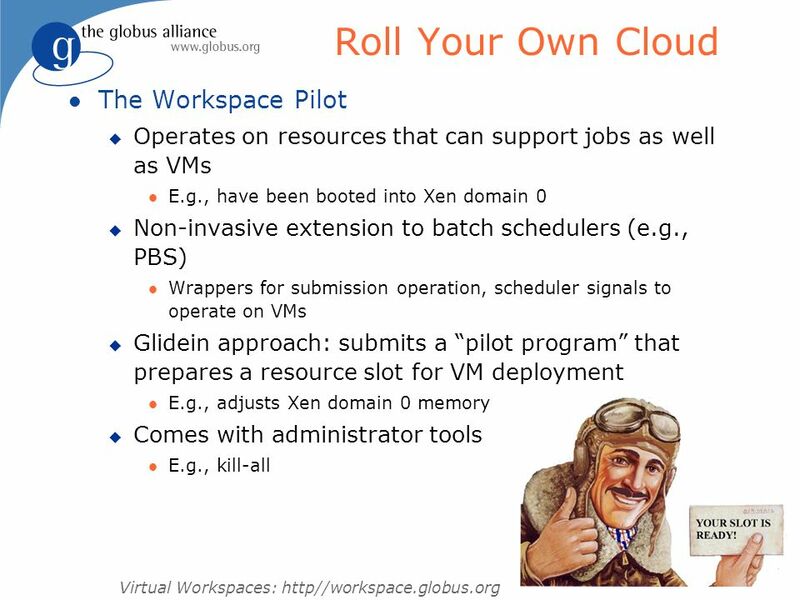 Who can use it? 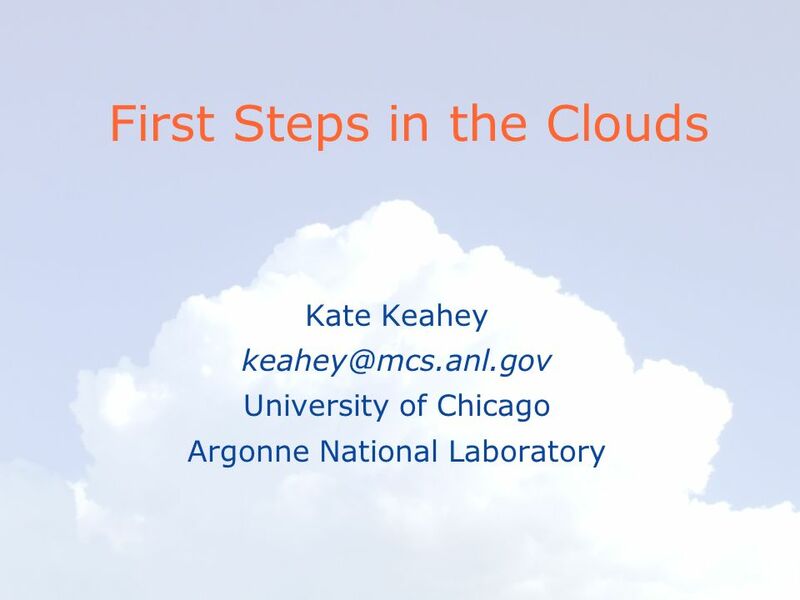 Download ppt "First Steps in the Clouds"
Open Science Grid Living on the Edge: OSG Edge Services Framework Kate Keahey Abhishek Rana. 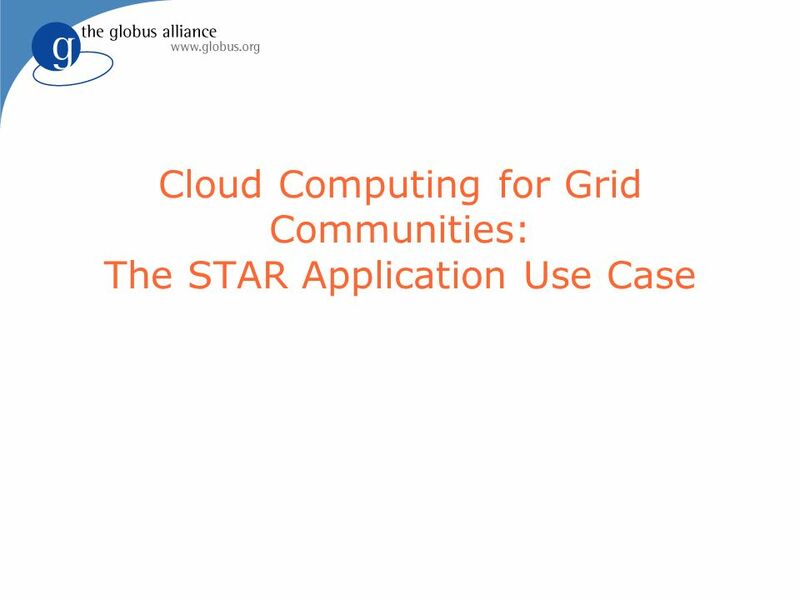 A Scalable Approach to Deploying and Managing Appliances Kate Keahey Rick Bradshaw, Narayan Desai, Tim Freeman Argonne National Lab, University of Chicago. 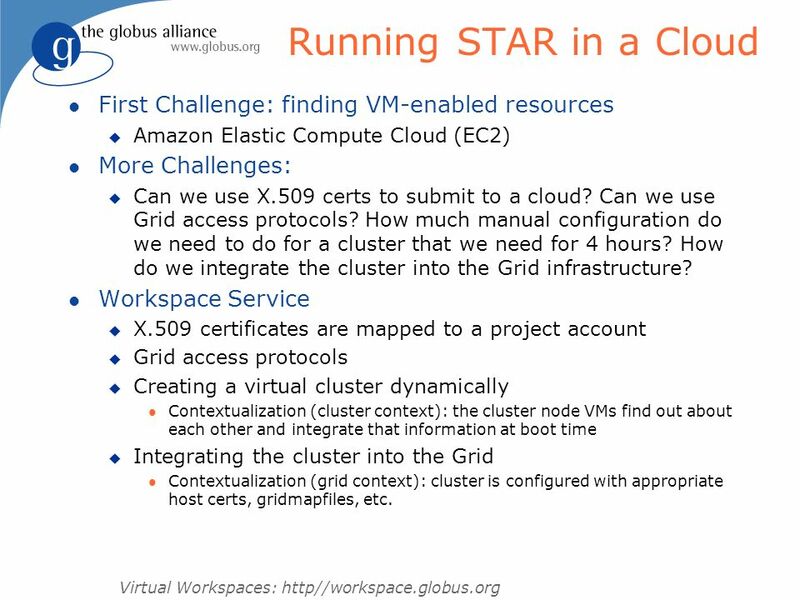 On-Demand Virtual Workspaces: Quality of Life in the Grid Kate Keahey Argonne National Laboratory. 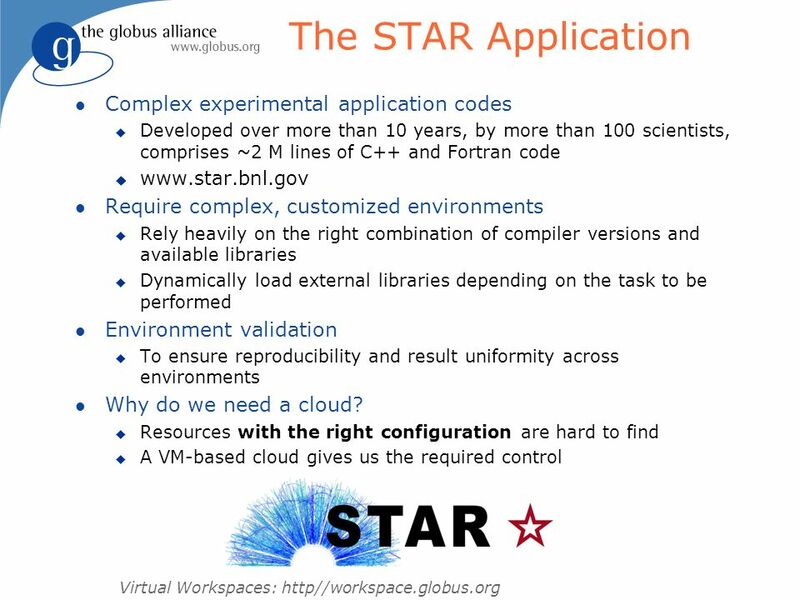 Virtual Appliances for Scientific Applications Kate Keahey Argonne National Laboratory University of Chicago. 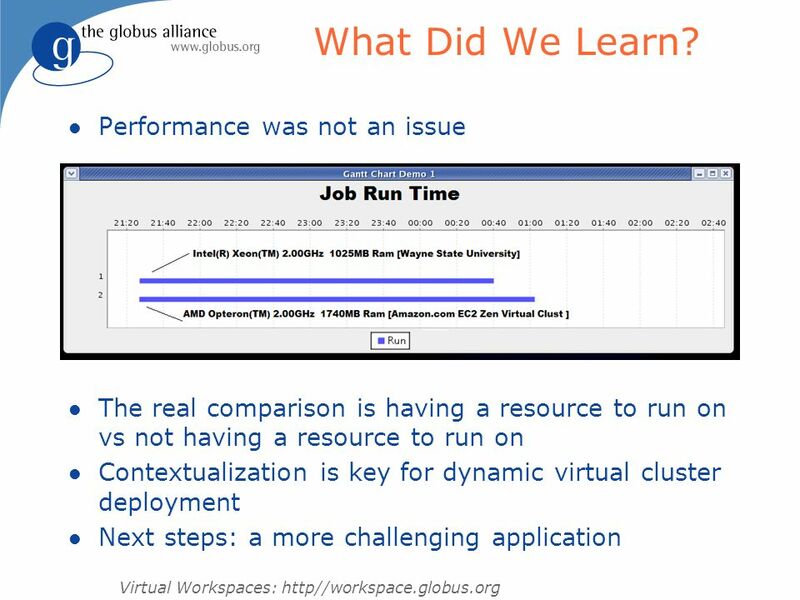 Virtual Workspaces State of the Art and Current Directions Borja Sotomayor University of Chicago (Dept. of CS) Kate Keahey ANL/UC. 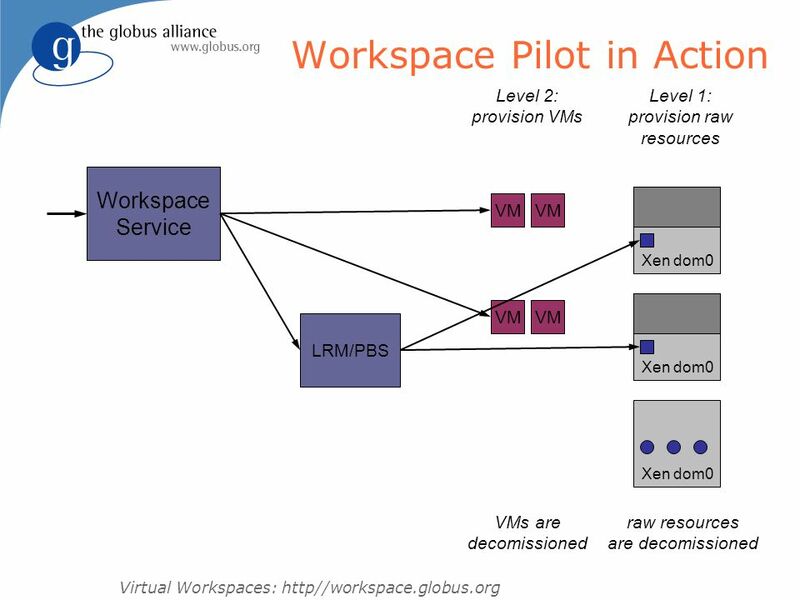 Workspaces for CE Management Kate Keahey Argonne National Laboratory. 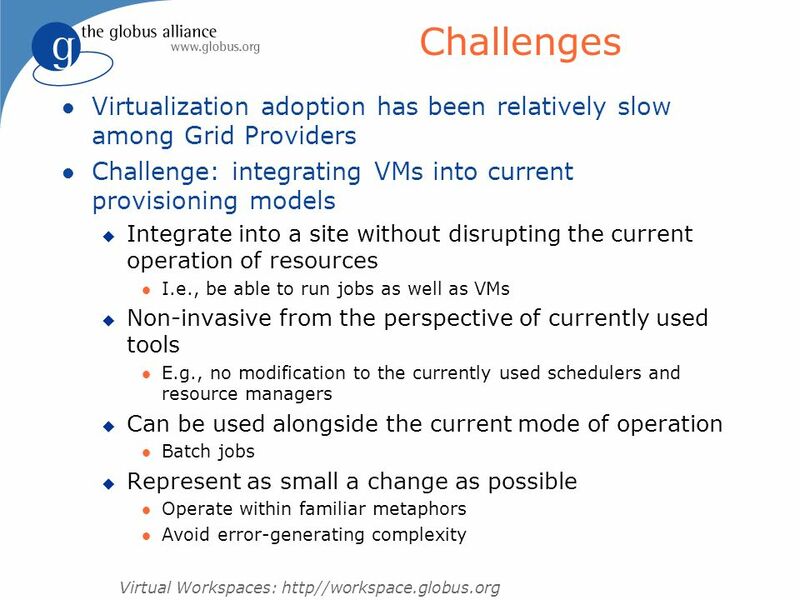 From Sandbox to Playground: Dynamic Virtual Environments in the Grid Kate Keahey Argonne National Laboratory Karl Doering University. 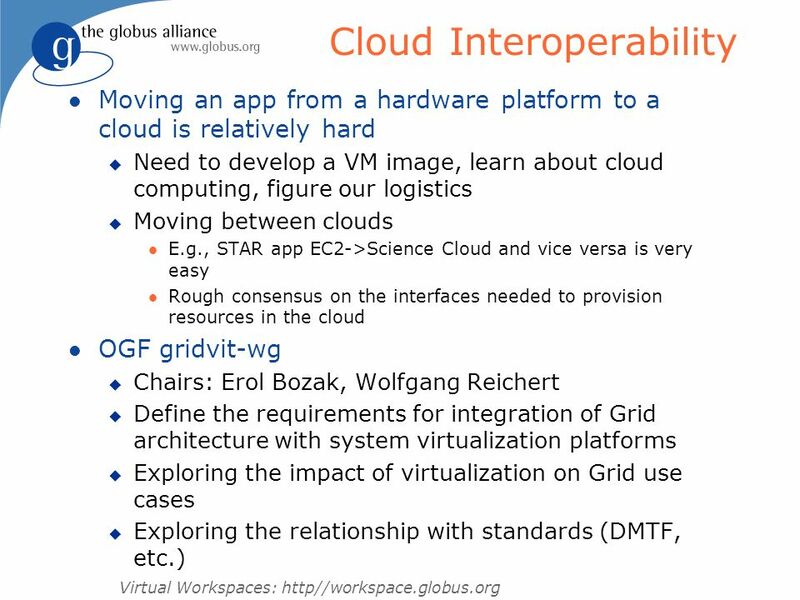 Virtual Workspaces in the Grid Kate Keahey Argonne National Laboratory Ian Foster, Tim Freeman, Xuehai Zhang, Daniel Galron. 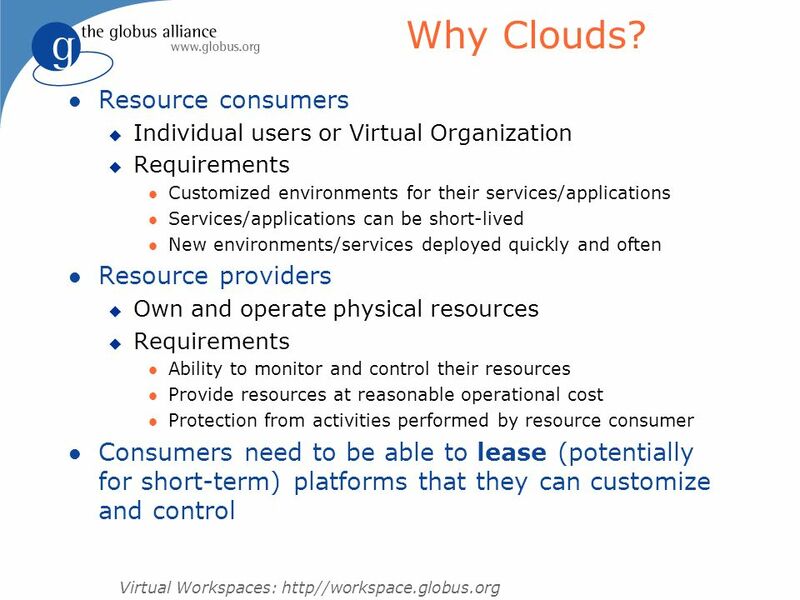 Cloud Computing and Virtualization with Globus Oakland, May 2008 Kate Keahey Tim Freeman University of Chicago. Science Clouds: Early Experiences in Cloud Computing for Scientific Applications Chicago, October 2008 Kate Keahey, Renato Figueiredo, Jose Fortes, Tim. 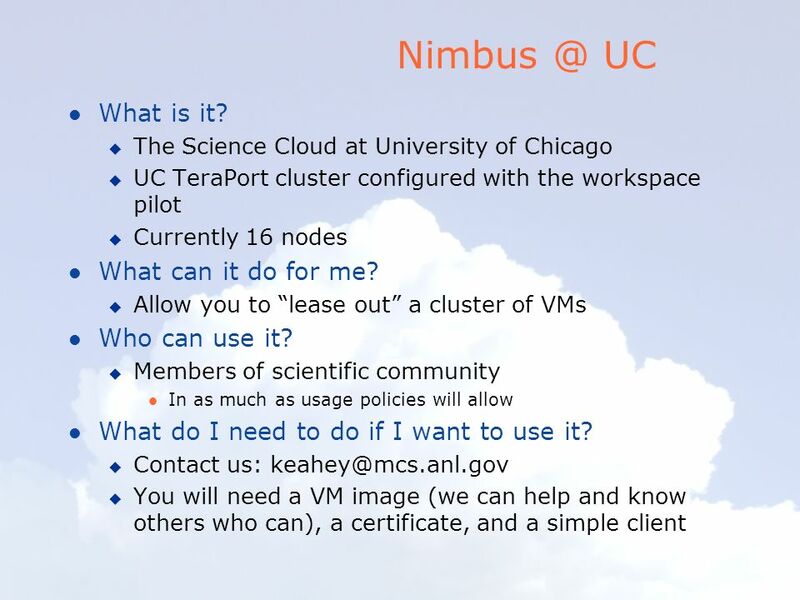 Nimbus or an Open Source Cloud Platform or the Best Open Source EC2 No Money Can Buy ;-) Kate Keahey Tim Freeman University of Chicago. 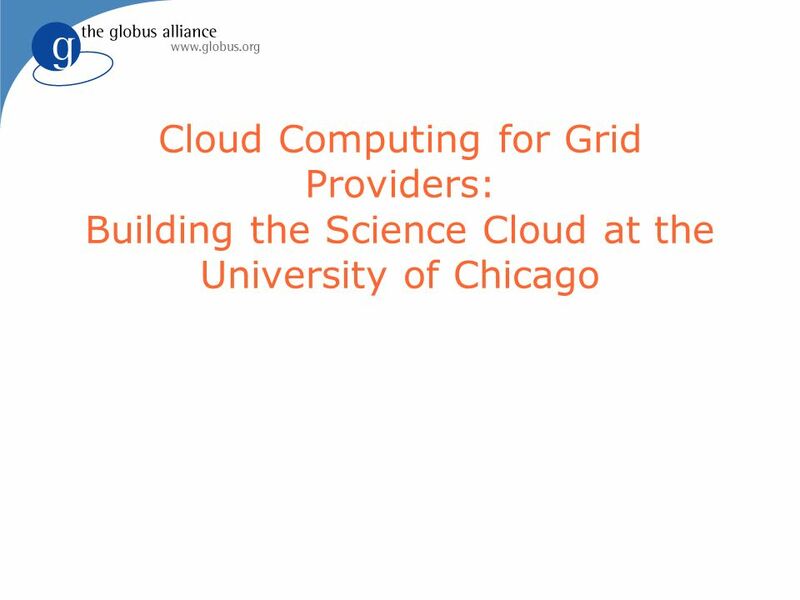 Cloud Computing with Nimbus FNAL, January 2009 Kate Keahey University of Chicago Argonne National Laboratory. 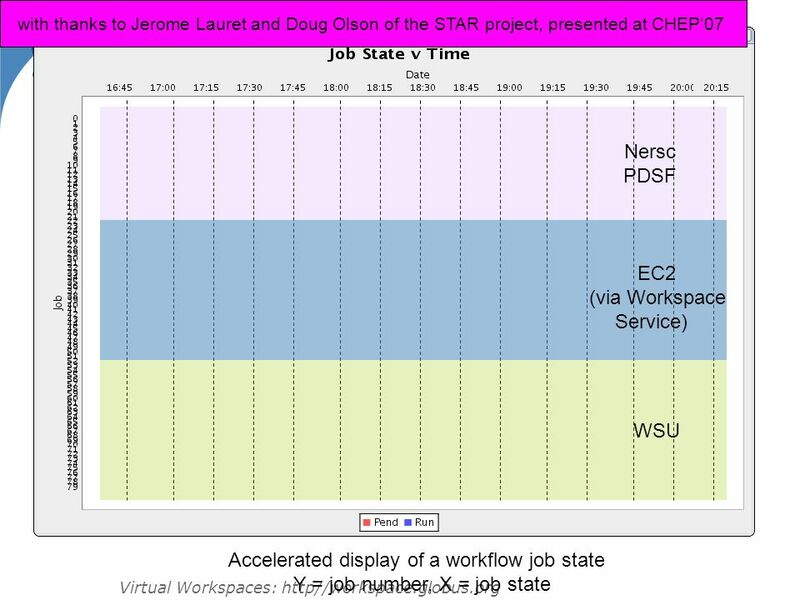 US LHC OSG Technology Roadmap May 4-5th, 2005 Welcome. Thank you to Deirdre for the arrangements.